Stylish square shapes with softly rounded corners and a glossy finish give Quadro an updated look. The collection creates a modern setting that will elevate even a simple meal. 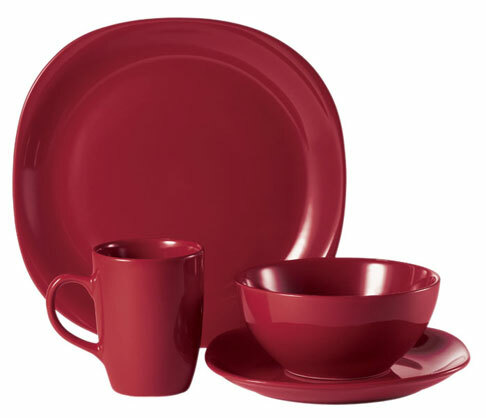 Sleek mugs and bowls complement the square plates. Also available in white and black.